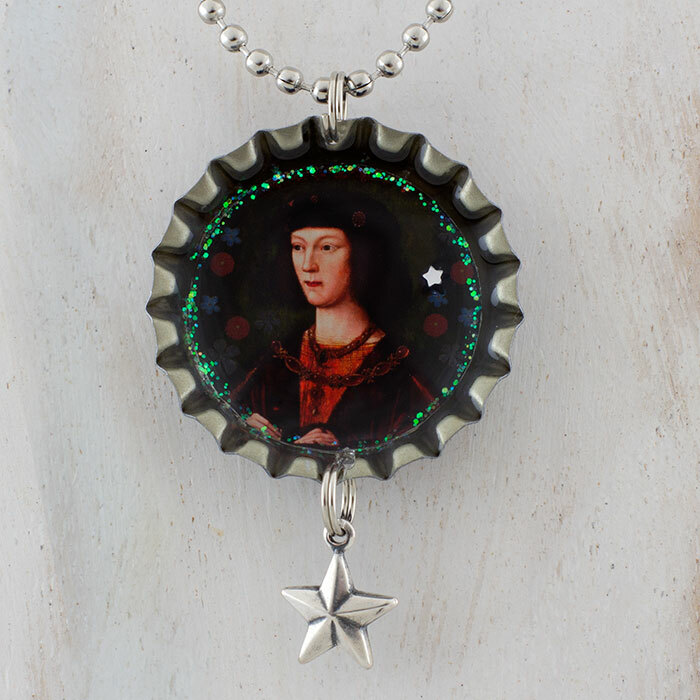 A miniature photograph of a collage by Tiffini of Henry's portrait protected by a durable, archival resin that safeguards the image from water damage and fading. Vintage bottle caps which are stamped on the back with a Tudor rose design. The insides of the caps are decorated with gems and glitter. A 24 inch nickel plated silver bead chain that you can easily cut to your desired length.